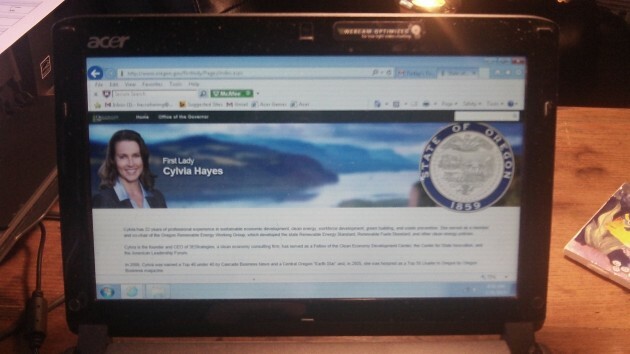 Cylvia Hayes on the governor’s website before the “first lady” part of the site was scrubbed. 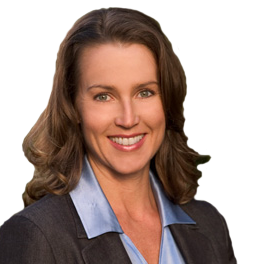 Cylvia Hayes’ was throwing her weight around as “first lady,” as reported by The Oregonian/OregonLive, because she wanted Oregon to adopt a new way to measure changes in the economy. Most of us had never heard of the “Genuine Progress Indicator.” But thanks to Google you can look it up. It sounds like a ploy by people in government and academia to get paid for gathering data, making plans, holding meetings and writing reports. To promote this scheme, Governor Kitzhaber urged the director of the Department of Administrative Services to find a job for one Sean McGuire, a former Maryland state official in charge of GPI there. Last spring Oregon did hire him for a year at about $65,000. This was after Hayes was paid $25,000 by Demos, a New York advocacy group whose motto is “An equal say and equal chance for all,” to promote GPI in Oregon. The Demos website has an article titled “Implementing GPI in Vermont, Maryland and Oregon.” It explains that GPI “includes 26 indicators to give a broader picture of the sustainability of growth.” The indicators include items such as “income inequality,” “services of consumer durables” (whatever that means), “cost of ozone depletion,” “cost of net wetlands change,” “value of volunteer work,” “value of housework,” “cost of family changes,” and “cost of commuting.” None of those are easy to calculate, and a composite GPI containing these and all the indicators, all 26 of them, does not really tell you anything useful. I agree entirely. “Mush” bordering on abuse and waste of public funds. Ms. Hayes holds no elected office so why she should influence public policy beyond that of any Oregon citizen is questionable. As to the question of Mr. Kitzhaber continuing in his leadership role as Governor of this state my tendency is to agree with the recent Oregonian editorial which said Kitzhaber has broken faith with Oregonians. The “great accomplishment” reference in that quote may be giving the Governor the benefit of the doubt. Yes another example of liberals doing whatever they can to get other people’s money into their pockets. I was looking in the dictionary for a word that combined gold digger and scam artist. What I found instead was a photo of Ms. Hayes. Sorry I can’t use the term “lady” to describe a woman with her past history and present actions. If our illustrious governor wants to maintain the slightest credibility, he should kick her to the curb and do it quickly. Do we have to pay for her food? Clearly Kitzhaber and his “First Main Squeeze” need to call on Brian Williams for assistance in getting their story out. Maybe instead of being squishy/sleazy it could morph into something both heroic and heartwarming as reported on NBC news. “Income Inequality” is part of GPI? So the metric would reward losing well paying jobs so that the state’s average wealth would more “equal”? Redefining good to bad goes beyond mush. It’s insane, and so typical of contemporary government.